Auction 7pm Tuesday at Harcourts North Shore Central Office, 438 Glenfield Road. On offer for the astute buyer is a property loaded with potential in a quiet and peaceful cul-de-sac location. The resource consent application for sub-division has been granted and subject to Council approval you can get started. 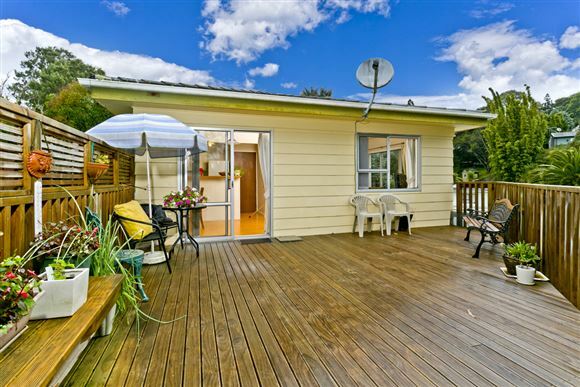 This well presented sunny 3 bedroom home can stay where it is and driveway access is easy, leaving scope to build on the rear site and profit from the process. Properties like this are becoming harder to find so don't delay and pick up the phone. Call now! Complete your due diligence, all offers are welcomed.